Below are the complete details of the Naib Qasid jobs in Khyber Pakhtunkhwa Government in Peshawar. Skills Required for Job: Having Good Communication Skills. Primary Level Education. Knowledge of office and management techniques. Good interaction abilities and professional personal display. Knowledge of customer service methods and concepts. 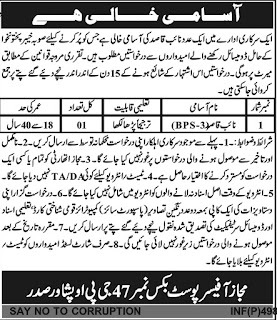 Qualification: Kpk Government Peshawar Jobs For Naib Qasid. Required Qualification: Must be Literate. Age Limit: Minimum 18 Years or Maximum 40 Years. Attractive Salary Package. Last Date for Submission of Application With in 15 Days. 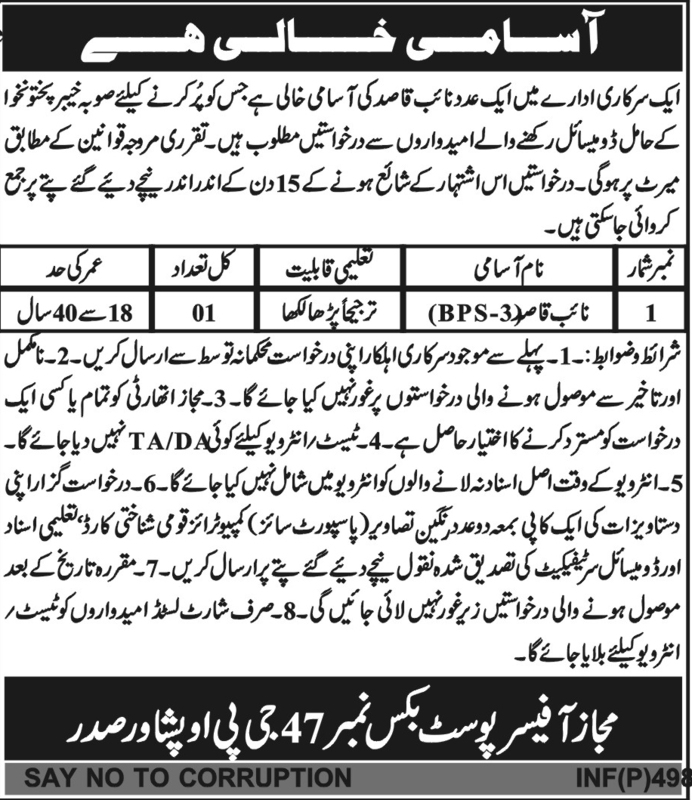 Naib Qasid jobs in Khyber Pakhtunkhwa Government Peshawar, in Pakistan published on Paperpk.com from newspaper on December 29,2018. Job seekers who are already working as peon , chokidar , servent , office boy , tea boy, watchman can also apply for post of Naib Qasid.